“This edited collection is a timely and important intervention into the ‘Big Data’ hype by addressing the core of the Big Data discourse through its history. It does so by not only asking the important question of what data are, but also ‘[w]hat are we to data and data to us?’ (2013, p. 1). 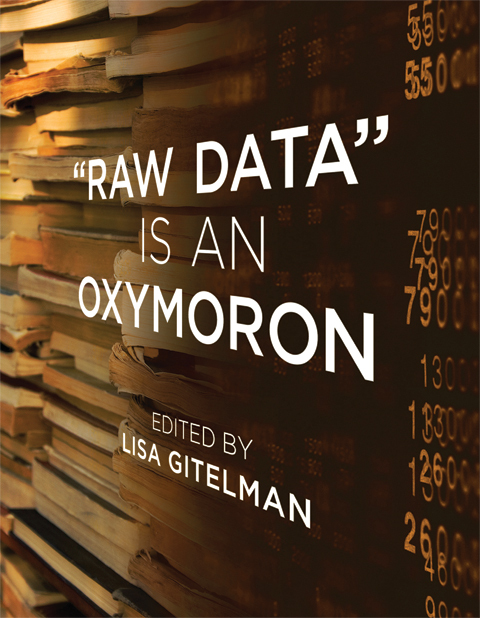 The authors contributing to this collection, edited by media historian Lisa Gitelman, place these fundamental questions into the larger history of data by addressing the distinct histories of data, data collection and data analysis from various disciplines. In doing so, they provide a historical lens on the data economy with the important – but often side-stepped – question of what compromises the data in ‘Big Data’ driving this new economy and how is it constructed?” (Helmond, 2014). Continue reading at Information, Communication & Society or download the author’s postprint PDF.